Some time ago, I took a trip that changed my life and the future of our company. The life-changing lesson was about the nature of design, and the power of business to help build a better future. And I learned it, of all places, from a rainforest. At the time, I was living in San Francisco: an amazing city to live in. During the ’90s and 2000s, it was filled with intrigue for everyone from yogis to barfly hipsters to artists to entrepreneurs. It seemed to me an absolute paramount of collaborative social design — an ever-evolving expression of humanity and what it is capable of on many levels. When I had the chance, I would drive out to Treasure Island at night with friends and look back at the City by the Bay, lit up and bustling with the activity of a world going online. I was amazed to think that what I was looking at had essentially been built in a just a few hundred years. 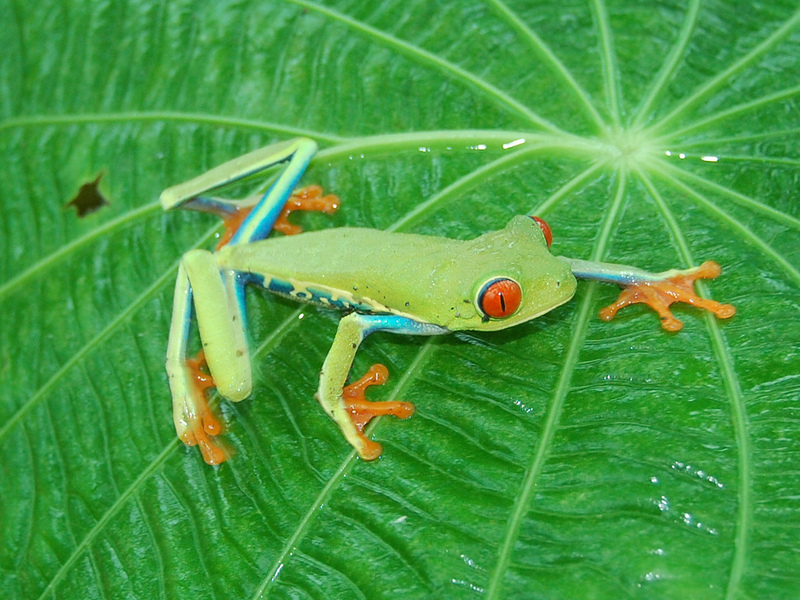 In 2005, I went to the Osa Peninsula in Costa Rica and saw what the natural world was capable of in its design. Countless layers of life and process were going on in that old growth rainforest, with endless complexity and ruthless harmony. Without exaggeration, this is one of the most biodiverse places on our planet, with four species of monkeys, flocks of scarlet macaws, sea turtles, and blue morpho butterflies the size of your outstretched hand. Trees, bushes, and vines were layered one on top of the other with some of the rarest orchids in the world hanging from them. It’s a system that is prolific in its mass, activity, and beauty — as it has been for thousands of years. When I returned to San Francisco, its mere hundreds of years of social innovation seemed child’s play in comparison to the scale, complexity, and ingenuity I experienced in Osa. The business world in particular seemed very immature in its design when I looked at what it was doing in the world, and how simplistic it seemed to need things to create or perceive any sort of abundance. How limited its feedback mechanisms are with what seems like a single feedback of a single bottom line, whereas the rainforest measures itself on so many levels and responds in kind. Soap boxes set aside (and used as a compost bin, of course), this isn’t a rant about corporate greed, but rather about corporate influence and inspiration over its own design. The level of awareness, process, design, and systems that I saw making up the business world and other aspects of human society just felt infantile in comparison to the ancient systems I witnessed in the Osa. I began stewing over how business might learn from nature’s design principles. I also woke up to the urgency of our need to learn to exist in greater harmony with the natural we are a part of so that we can address global challenges like peak oil, materials, and climate change. It was around this time that I began attending the Green Festival in San Franciso, and learned from pioneering business leaders who are working to enact just this sort of nature-inspired change in our systems design. I heard Ray Anderson of Interface Carpet Corporation (learn about Ray’s own “aha” moment here) talk about businesses moving from plunderers of the earth to beneficiaries and stewards of sustainable economic and ecological systems. His vision seemed so consistent with the abundance I saw in the Osa, and I saw how businesses could become more robust by aligning and being inspired by natural constraints. Learning from Ray and others shed light on the challenges of bringing society, economy, and nature into harmony, I became inspired by my own role and influence as a business owner. With SweetRush, I could be a contributor in this movement of rethinking business as not just a user of abundance, but as contributor to an abundant system. Through this process, my assumptions about where this change would be most meaningful have shifted. Initially I felt we should rush out and help other businesses wake up to a sustainable way of doing business. Now I believe our team should be focused on nurturing, expanding, and evolving our existing cultural and values foundations to a more-holistic approach to “doing good” as a business. We have great skills and abilities — now, how do we use them to help larger organizations with their best practices and initiatives? There’s no preaching in the rainforest. The complex ecology is created through ongoing, dynamic, and sometimes tense collaboration amongst all players in the system. Over the years, I have learned my way into this healthier approach with the ecology that is SweetRush: building team buy-in, co-creating our vision of what doing good looks like for our business, and working with our existing values and resources to grow our positive influence both internally and externally. As a leader, I am really a steward of the health of our business ecology: the well-being of our people, the vibrancy of our resource base, and the enactment of our foundational culture of caring internally, with clients, and with the greater natural, industrial, and social ecologies in which we are embedded. Last month I was back in wonderful San Francisco, and was struck by its continued evolution. Many concrete medians have been replaced with permeable surfaces and drought-tolerant plants — an effort to reduce the burden on city drainage and create ecosystem. Also the stores have become more diverse than I remember. Strolling Valencia Street in the Mission, where SweetRush first opened its doors, the diversity of restaurants, curiosity shops, art spaces, park spaces, bike routes — and yes, of course, hipsters and coffee shops — had all at least doubled. Like the Osa, the City by the Bay seems to be leaning toward diversity while searching for a cacophonous harmony. This post is about seeing the rainforest through the trees — the birds eye-view if you will. Our evolution as a company in a landscape of companies is increasingly waking up to this very new and yet ancient way of organizing. I have shared only the very beginning of an unfolding story about how one small organization is evolving and creating itself. Learning what SweetRush has to offer the world around it and the people who comprise it has been an epic journey on many levels but also merely the start of an adventure. Next time, I’ll dive into the view from the ground and share some details about how we are enacting these insights with our Good Things Initiative.